In Portugal, there are no specific references to virtual currencies or the players in the virtual currencies market, such as virtual currency exchanges, virtual currency wallets, virtual currency miners and virtual currency issuers (virtual currency operators). This does not mean that virtual currencies or virtual currency operators are by all means unregulated, but rather that whether a specific virtual currency or virtual currency operator falls under the scope of a specific law or regulation is a matter of interpretation. A case-by-case assessment in light of the specific characteristics of the relevant virtual currency or of the relevant virtual currency operator and in light of the existing legal and regulatory framework is required to come to any conclusions. Given the uncertainty surrounding the exact legal and regulatory framework applicable to virtual currencies and virtual currency operators, the potential financial impact, and the resemblance of virtual currencies or the operations or business models of some virtual currency operators with the legal concepts, functions and business models to those found in specific financial sectors, the Portuguese regulatory and supervisory authorities for the financial sector have been alert to the virtual currencies phenomenon and have issued several press releases highlighting the risks and uncertainties regarding virtual currencies and initial coin offerings (ICOs). The Bank of Portugal (BoP), which is the Portuguese banking authority, has issued several press releases and warnings concerning virtual currencies. In November 2013, the BoP issued a press release warning against the risks of investing and holding Bitcoin and stating that Bitcoin was not subject to the BoP's supervision. In October 2014, the BoP stated that Bitcoin ATMs are not part of the Portuguese payments system and warned against the risks of investing in and holding virtual currencies. In March 2015, the BoP issued another press release highlighting the risks of investing in and holding virtual currencies and stating that virtual currencies are not legal tender in Portugal. In that same month, through Circular Letter No. 11/2015/DPG, the BoP recommended that Portuguese credit institutions, payment institutions and electronic money institutions refrain from buying, holding or selling virtual currencies, following the opinion of the European Central Bank (ECB) and the European Banking Authority on virtual currencies. In February 2018, the BoP issued a new press release warning against the above-mentioned risks once more. In November 2017, the Portuguese Securities Market Commission (CMVM), which is the authority responsible for supervising and regulating securities and other financial instruments markets, as well as the activities of all entities that operate in those markets, issued a press release highlighting the risks of investing in and holding virtual currencies. It further stated that virtual currencies are not regulated and are not subject to the CMVM's supervision, following ESMA's opinion on virtual currencies. In July 2018, the CMVM issued another press release providing some guidance on how they will assess the legal nature of virtual currencies (see Section II). 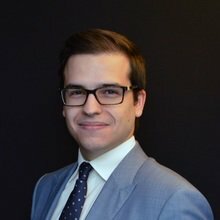 In May 2018, the CMVM issued a press release regarding a specific ICO carried out in Portugal (see Section II). The Portuguese Insurance and Pension Funds Supervisory Authority (ASF), which is responsible for the regulation and supervision of insurance, reinsurance and pension funds markets, has not yet issued a press release on virtual currencies. Finally, the National Council of Financial Supervisors, comprising the BoP, the CMVM and the ASF, which was created to ensure enhanced coordination and articulation among those regulatory and supervisory authorities, issued a press release in July 2018 highlighting the risks of investing in and holding virtual currencies. Portuguese securities and investment laws do not specifically refer to virtual currencies. Therefore, whether a certain virtual currency falls under the scope of those laws is a matter of interpretation. In this regard, given the myriad different characteristics that virtual currencies may have, a case-by-case assessment is of the utmost importance. To understand to what extent securities laws are applicable to a specific virtual currency (with the consequent impact upon the related virtual currency operators), one must answer the following question: do the characteristics of the relevant virtual currency make it a financial instrument regulated by securities laws? hybrid tokens, which have a combination of the characteristics of more than one type of virtual currency described above. 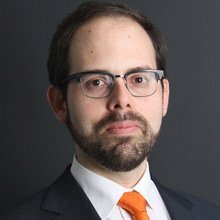 The few Portuguese legal academics that have addressed this topic have concluded that security tokens are likely to be deemed atypical securities, and that some hybrid tokens (those that also have the characteristics of security tokens) may also be deemed atypical securities pursuant to Portuguese law. A case-by-case assessment must, however, be carried out to conclude whether a specific virtual currency qualifies as an atypical security. On 23 July 2018, the CMVM issued a press release regarding ICOs stating that the assessment of the legal nature of the virtual currency to be issued is crucial to understanding which regulatory framework should apply. The CMVM also states that the assessment must be performed on a case-by-case basis, and that some virtual currencies might qualify as securities taking into account the legal concept of atypical securities. While highlighting the changing nature of virtual currencies, and as such leaving room for future changes in the CMVM's opinion, the CMVM clarifies that it will take into account the information made available by the issuer to potential investors and, in particular, any elements evidencing that the issuer may be bound to adopt a specific form of conduct from which the investor may have an expectation to gain a return for the holder on its investment in the virtual currency, such as a right to any type of income (e.g., dividends or interest), or the performance of specific actions by the issuer or related entities aimed at increasing the value of the virtual currency. In May 2018, the CMVM issued a press release regarding a specific ICO carried out in Portugal in which it states that a token that enables its holders to 'participate in surveys concerning the development of the platform' and 'donate tokens to the [issuer] in order to develop new features' is, in principle, not a security. specific restrictions may apply to sales in a secondary market, etc. Portuguese banking, payments and money transfer laws do not specifically refer to virtual currencies. Therefore, whether a specific virtual currency falls under the scope of those laws is a matter of interpretation. In this regard, as previously mentioned, given the myriad different characteristics that virtual currencies may have, a case-by-case assessment is of the utmost importance. Under Portuguese law there is no legal definition of money. Nonetheless, from an economic standpoint, money is usually said to play three roles in our society: as a medium of exchange (to enable the efficient execution of transactions), as a unit of account (to enable the measurement of the value and costs of goods and services), and as a store of value (to enable the transfer of value over time). From the perspectives of the ECB (in a report from February 2015) and the International Monetary Fund (in a report from January 2016), virtual currencies do not currently fulfil these three economic roles and, as such, even though some virtual currencies may aim to fulfil some or all three of the economic roles of money referred to above, they cannot be deemed as money at this stage. Furthermore, the BoP clarified that virtual currencies are not legal tender in Portugal in a press release from March 2015 (i.e., it is not compulsory to accept them as a means of payment in transactions). Nonetheless, virtual currencies are considered as an alternative means of payment the same as any other asset (tangible or intangible) that may be legally used as a mean of payment if the parties to a transaction so agree. This is line with the decision of the European Court of Justice that considered Bitcoin a contractual means of payment.2 However, both the ECB and the BoP stated that virtual currencies are not regulated or supervised by them. In very specific (and perhaps unlikely – notwithstanding the trend of the stablecoins) cases, depending on the characteristics of a virtual currency, there is a risk of e-money laws being considered applicable. Under Portuguese law, electronic money means electronically (including magnetically) stored monetary value as represented by a claim on the issuer that is issued on receipt of funds (banknotes, coins or scriptural money) for the purpose of making payment transactions, and that is accepted by a natural or legal person other than the electronic money issuer. In principle, virtual currencies would fall outside the scope of this definition as, inter alia, they are not a digital representation of the value of any fiat currency, e-money is redeemable at par value with the fiat currency it represents, and e-money is issued by a specific entity with legal personality (which may not always be the case with virtual currencies). Nevertheless, if a virtual currency is issued by a specific entity with legal personality at par value with a specified fiat currency and its value is indexed to the value of that fiat currency, then it may be deemed a form of electronic money if the virtual currency is accepted as a means of payment (i.e., to pay for products or services) by a natural or legal person other than the electronic money issuer. In this case, e-money laws may be applicable and the issuer of that virtual currency may have to obtain an e-money licence, and specific intermediaries may have to be registered with the BoP as e-money agents or intermediaries. As we describe in further detail in Sections V and VII, exchanges and issuers may be subject to particular banking laws depending on their specific model of operation or the type of funds received in return for the virtual currencies issued, respectively. Virtual currencies or virtual currency operators are not yet specifically referred to in the anti-money laundering and counter-terrorist financing (AML/CFT) framework in force in Portugal. Nonetheless, taking into account the aspects referred to in Sections II, III, V and VI, depending on the characteristics of each case, some virtual currency operators may be subject to the AML/CFT framework currently in force in Portugal. In general terms, the Portuguese legal framework on AML and CTF is composed of a vast number of pieces of legislation, but it is identical in broad terms to the legal framework in force in other EU Member States given that, to a large extent, it reflects the implementation of EU directives on the subject (notably Directive (EU) 2015/849). Sectoral authorities (such as the BoP and the CMVM) may provide for implementing rules specifically applicable to entities operating in the relevant sector. For instance, Law No. 83/2017, of 18 August (Law 83/2017), provides for the general AML/CFT framework in Portugal, but the BoP has established specific rules that supplement Law 83/2017 and that specifically apply to credit institutions and investment firms (Regulation No. 5/2013, of 18 December, which is currently under review by the BoP). Money laundering and the financing of terrorism are crimes under the Portuguese Criminal Code and punishable with imprisonment. Both natural and legal persons can be criminally prosecuted for these crimes. Failing to put adequate procedures and systems in place to prevent money laundering and financing of terrorism and to notify those practices to the authorities may also give rise to administrative offences punishable with a fine of up to €5 million (which may be aggravated, and ancillary sanctions may be applied cumulatively). General investigatory powers are recognised for police departments, judicial authorities, investigating magistrates and the Public Prosecutor's Office. Furthermore, specific investigatory powers are awarded by Law 83/2017 to the competent authorities responsible for the investigation of money laundering activities and practices, including the Central Bureau of Investigation and Prosecution (CBIP) and the Financial Intelligence Unit (FIU). Further to the investigatory powers set forth in Law 36/94, upon receiving a reasoned order, the CBIP may directly access all financial, tax, administrative, judicial and police information necessary for the fulfilment of its mission regarding AML/CTF. Moreover, both the CIBP and the FIU may request information from any person that they deem to be relevant for the pursuit of their functions and, if necessary, these authorities may summon and question any person for this purpose. The recently enacted fifth AML Directive3 addresses specific risks associated with virtual currencies, aiming at bringing more transparency to the virtual currencies sector across the EU. Member States must implement this Directive by 10 January 2020. Portugal has not yet implemented it. This new Directive provides the first definition of virtual currencies in EU legislation: 'a digital representation of value that is not issued or guaranteed by a central bank or a public authority, is not necessarily attached to a legally established currency and does not possess a legal status of currency or money, but is accepted by natural or legal persons as a means of exchange and which can be transferred, stored and traded electronically'. Furthermore, 'providers engaged in exchange services between virtual currencies and fiat currencies' and custodian wallet providers (these are defined as 'an entity that provides services to safeguard private cryptographic keys on behalf of its customers, to hold, store and transfer virtual currencies') come under the scope of the EU AML/CFT framework (notably Directive 2015/849), which means that, among other things, some virtual currency exchanges and custodian wallet providers will have to perform know your customer (KYC) and know your transaction (KYT) analyses regarding their clients (the users of those virtual currency exchanges and wallets) and their respective transactions, and also report suspicious activities. However, it is worth noting that the fifth AML Directive is only applicable to some virtual currency exchanges: those that accept fiat currency in exchange for virtual currencies and vice versa. Those exchanges that only accept virtual currencies in exchange for virtual currencies fall outside of the scope of this new Directive. Finally, it is worth noting that those subject to the Portuguese framework on AML/CFT must pay special attention to the AML/CFT risks that may derive from offering products or transactions likely to favour anonymity; developing new products and new commercial practices, including new distribution mechanisms and new payment methods; and using new technologies, or technologies under development, for new products and for existing products. Besides stricter risk management requirements being applicable, there are additional KYC and KYT requirements to be complied with in transactions involving any of these three products or technologies. Unlike other jurisdictions (e.g., Japan, the State of New York, Malta), Portugal does not have a specific legal framework applicable to virtual currency exchanges. Therefore, whether a certain virtual currency exchange falls under the scope of any existing legal or regulatory framework is a matter of interpretation. In this regard, given the different business models that virtual currency exchanges may have, a case-by-case assessment is of the utmost importance. does the virtual currency exchange offer any type of financial remuneration in connection with the balances that investors hold in such exchange, or does it undertake any obligation to repay the fiat funds deposited? question (d), then there is the risk of the legal and regulatory framework applicable to credit institutions being deemed applicable, in particular if the answer to question (b) is also yes, as the virtual currency exchange may be deemed to be receiving fiat funds and remunerating them as if they were a deposit, or have some sort of obligation to return such funds, if e-money. Finally, AML and data protection laws may apply to virtual currency exchanges. Regarding AML, refer to Section IV. Regarding data protection, whenever a virtual currency exchange collects personal information concerning individuals, such virtual currency exchange must comply with the General Data Protection Regulation and all associated legislation. Unlike other jurisdictions (e.g., Belarus, Venezuela, Ukraine), Portugal does not have a specific legal framework applicable to virtual currencies miners. Therefore, whether miners fall within the scope of any existing legal or regulatory framework is a matter of interpretation. Depending on the specific characteristics of the relevant distributed ledger technology (DLT) in which miners operate (notably regarding consensus protocols) and depending on their specific role, degree and frequency of intervention within such DLT, miners may be deemed service providers (i.e., of transaction processing and validation services) and, as such, will have to comply with the general terms of the law and register with the tax authorities. However, a case-by-case assessment is of the utmost importance. As further detailed in Section II, classification of a virtual currency as an atypical security entails the application of certain aspects of securities laws to the issuers, the members of its corporate bodies and sponsors in the context of ICOs. Furthermore, and as further described in Section III, in very specific (and perhaps unlikely – notwithstanding the trend of stablecoins) cases, there is a risk of a virtual currency being deemed a form of electronic money and, as such, this would entail the application of e-money laws. In such cases, the issuer of the virtual currency would have to obtain an e-money licence. Additionally, if the issuer of the virtual currency accepts funds in the form of fiat currency in return for the virtual currency being issued in the ICO, and if any obligation for the issuer to repay the investors results from the documents and information conveyed by the issuer in connection with the ICO, there is a risk of such activity being considered as the acceptance of deposits from the public, which is an activity that may only be carried out by credit institutions under Portuguese law. If the issuer of the virtual currency accepts funds in the form of fiat currency in return for the virtual currency being issued in the ICO, but there is no obligation for the issuer to repay the investors, the risk of it being considered that those funds have been received to perform payment transactions should also be taken into account, in which case a payment services licence would be required. He who, with the intention of obtaining an illegitimate enrichment, for himself or for a third party, by means of error or deceit about facts which he has maliciously provoked, induces someone to acts which cause to him, or cause to another person, damage to his property, shall be punished with imprisonment of up to three years and a fine. As per Article 218 of the PCC, the crime of qualified fraud applies to instances where the injury is significantly high. Criminal fraud, and civil error or civil fraud, must not be confused. Whereas the first may lead to penal liability, the second can only lead to annulment (provided that the applicable requirements are met) or compensation for damages (or both). In Portugal, the state is the uncontested leader in dispute resolution. In fact, the majority of conflicts are resolved through the legal system, supported by a large network of courts with specific and complex procedural rules.. Nevertheless, with the lack of efficiency of the public system, the importance of arbitration and other dispute resolution methods is increasing significantly. Law enforcement is the responsibility of police departments, judicial authorities, investigating magistrates, the bureau of investigation and prosecution and the Public Prosecutor's Office. In this regard, the geographical competence of the public prosecutors is determined in accordance with the place where the offence is committed. A civil claim aimed at obtaining compensation for damages will meet the requirements of civil liability. Hence, compensation may only be claimed upon the verification of damages caused (i.e. with a causal link) by an unlawful act or omission committed with some level of culpability (there are limited exceptions). As compensation corresponds to the degree of damage caused, there is no monetary threshold for such claims. Pursuant to the Portuguese Civil Code, the right to compensation in the context of non-contractual civil liability has a limitation period of three years as from the date on which the person who suffered the damages became aware of their right to compensation. As a general rule, claimants must produce evidence of the damage as well as of any facts of the claim that are favourable to their case. Within the EU, Regulation (EU) No. 1215/2012 of the European Parliament and of the Council of 12 December 2012 on jurisdiction and the recognition and enforcement of judgments in civil and commercial matters sets out the conditions under which a judgment (concerning civil and commercial matters) issued in a Member State can be enforceable in another. Therefore, pursuant to this Regulation, a judgment issued in a Member State and enforceable in that Member State may be enforceable in Portugal when, upon application by the interested party, it has been declared enforceable. The application of enforceability is filed in the competent court. Regarding tax matters, there have been some significant developments in the personal income tax (PIT) and value added tax (VAT) treatment of virtual currencies, as described below. In relation to corporate income tax (CIT), since the taxable base is calculated by reference to a taxpayer's profit and loss account drawn up in accordance with the rules set out in the Portuguese General Accounting Rules (GAAP), as adjusted pursuant to the CIT Code, there are main uncertainties related to the accounting treatment of virtual currencies, as there are no specific guidelines in this regard. From a CIT perspective, income obtained by Portuguese tax-resident entities or by Portuguese permanent establishments of non-resident entities from the sale or exchange of virtual currencies should be subject to CIT. The standard CIT rate is currently of 21 per cent, which may be increased by a municipal surcharge of up to 1.5 per cent (levied on taxable income before the deduction of any carry forward losses). Additionally, taxable income in excess of €1.5 million is subject to a state surcharge, also levied before the deduction of any carry-forward losses. In this respect, taxable income in excess of €1.5 million and up to €7.5 million is subject to a 3 per cent tax rate, taxable income in excess of €7.5 million and up to €35 million is subject to a 5 per cent tax rate, and the excess over €35 million is subject to a 9 per cent tax rate. From a PIT perspective, income obtained by Portuguese tax-resident individuals from the sale or exchange of virtual currencies is currently not subject to PIT whenever the individuals are acting outside the scope of a business or professional activity. This understanding has already been confirmed by the Portuguese tax authorities through Ruling No. 5717/17 of 27 December 2016. Should a Portuguese tax-resident individual obtain this income within the scope of a business or professional activity (which is deemed to be the case when the sale or exchange of virtual currencies by the individual takes place with regularity), the relevant income should be subject to PIT. In that case, the Portuguese tax-resident individual will be subject to taxation at progressive tax rates ranging between 14.5 and 48 per cent, plus an additional solidarity surcharge of 2.5 per cent due on taxable income between €80,000 and €250,000, and of 5 per cent due on taxable income exceeding €250,000. From a VAT perspective, transactions to exchange traditional currencies for virtual currencies are deemed to be a supply of services for VAT purposes. Nevertheless, both the VAT Directive and the Portuguese VAT Code provide for a VAT exemption for transactions related to 'currency, bank notes and coins used as legal tender, which, strictly from a tax perspective, should also apply to transactions of virtual currencies. This understanding has already been confirmed by the Portuguese tax authorities through Ruling No. 12904 of 15 February 2018 that held – in line with the judgment of the European Court of Justice in case C-264/14 of 22 October 2015 – that virtual currencies are means of payment that are accepted for that purpose by certain operators and therefore should be exempt from VAT in the same conditions as traditional currencies. Even if no specific legal or regulatory framework is applicable, issuers of virtual currencies will have to comply with the general terms of law (e.g., the principle of good faith) and consumer protection legislation (e.g., the Distance marketing of consumer services Law,4 the Unfair terms Law,5 the E-commerce Law,6 etc.) when offering, marketing and promoting a certain virtual currency to potential investors. 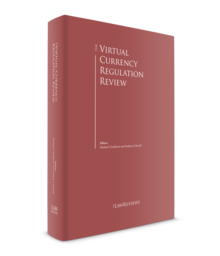 In any case, as highlighted in previous sections, this will always depend on the specific characteristics of the relevant virtual currency. The government and the Portuguese sector regulatory authorities for the financial sector have shown a great deal of interest in virtual currencies, and have been dedicating their efforts and setting up specialised task forces to understand the risks and opportunities brought about by innovation and the latest technological breakthroughs when applied to, inter alia, products, services, processes and business models within the financial sector. Portugal is witnessing more and more initiatives regarding virtual currencies and ICOs, with new businesses (specialised consultancy firms, specialised training firms, etc. ), events (some sponsored by the regulatory authorities themselves) and non-profit organisations (e.g., the Portuguese Association of Blockchain and Cryptocurrencies) emerging in the market. Since 2017, several Portuguese projects have launched ICOs, even though the great majority of them did so in other jurisdictions (e.g., Singapore, Switzerland and Estonia). As illustrated above, the CMVM and the BoP have been monitoring virtual currencies and ICOs with particular attention. As the Portuguese market matures, we believe that the CMVM and the BoP will take steps to provide further clarity on these subjects, thus mitigating consumer risks and preventing illicit activities without hindering innovation. To this end, cooperation and interaction with virtual currency operators is essential. 1 Hélder Frias is a senior associate and Luís Alves Dias is an associate at Uría Menéndez-Proença de Carvalho. 2 Judgment of the European Court of Justice in case C-264/14, of 22 October 2015. 3 Directive (EU) 2018/843, of the European Parliament and of the Council, of 30 May 2018.